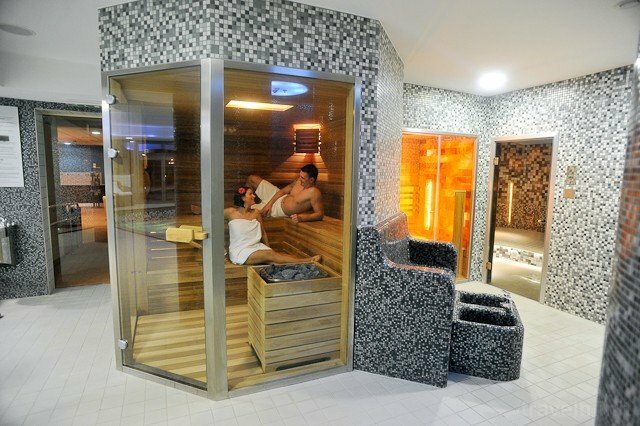 Belenus Thermalhotel*** superior is located in one of the most quiet parts of Zalakaros, just a three-minute walk from the Spa. Tourist tax over 18 years is need to be payed with cash, it is not included in the package. Meals included in package offers (for breakfast and dinner half board: 7.000 HUF / person / night) and 10% the service charge is included in the package prices, no surcharge. FURTHER DISCOUNT: for any stay of 4 nights or more (except for special periods) 1 night is for free. - the drinks included in the package can only be consumed in the restaurant, on the terrace, in the lobby bar and in the games room between 9 am and 9 pm, in rooms, in the wellness section or outside the building. In addition to this period, drinks are only available for a fee. 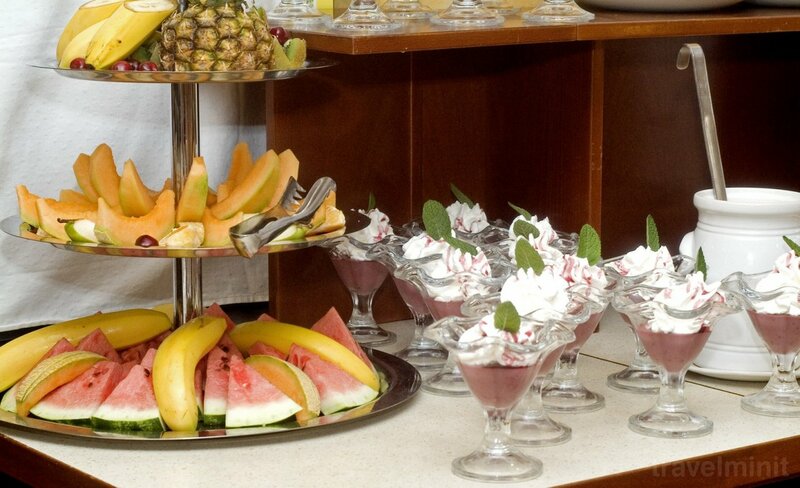 - only one drink per occasion and per person can be ordered at one time, and the frequency of orders is not limited. The package is for minimum 2 nights stay. Tourist tax for persons over 18 years will be charged in cash, the pachage does not include it. FURTHER DISCOUNT: for any stay of 4 nights or more (except for special periods) 1 night as a gift. - unlimited wifi, internet connection in rooms and throughout the hotel area, VAT. Tourist tax for persons over 18 years, is charged in cash, the package does nao include it. The package is available for stays of minimum 3 nights. - free wifi, internet connection in the rooms and throughout the hotel, VAT. Discount for children: age discount is available only for guests who pay at least 2 people for full price, in case of a supplementary bed. the price of the extra bed accommodation is applied. Bath towels are provided over 12 years of age. Tourist tax over 18 years is payable in cash, the package does not include it. The package is available between 14/06/2019 and 29/08/2019. A földszinti szoba nagyon zajos, behallatszik a medence szivattyúja. Az asztal éppen csak nem esik szét a szobában. A tulaj-vagy recepció vezető úr, (nem derült ki) kissé arrogánsan beszélt a recepciós hölggyel egy felmerült probléma megoldása közben. Ezt nem volt felemelő hallgatni... Benti medence nagyon pici. Tetszett a gyermek játszó sarok és a játszótér. Nem volt gyermek medence ami ilyen szintü szállodában lenni szokott. Mindent megkaptunk amire szükségünk volt a szálláson belül, az ételek isteni finomak frissek voltak, tökéletes kiszolgálás, a wellness rész is szuper, nagyon szép. Túl puha ágy, túl kicsi a zuhanyzó kabin túl kicsi víznyomással. Cancellation can only be accepted in writing. The two-storey hotel offers pleasant accommodation for both parents and children in 38 rooms. 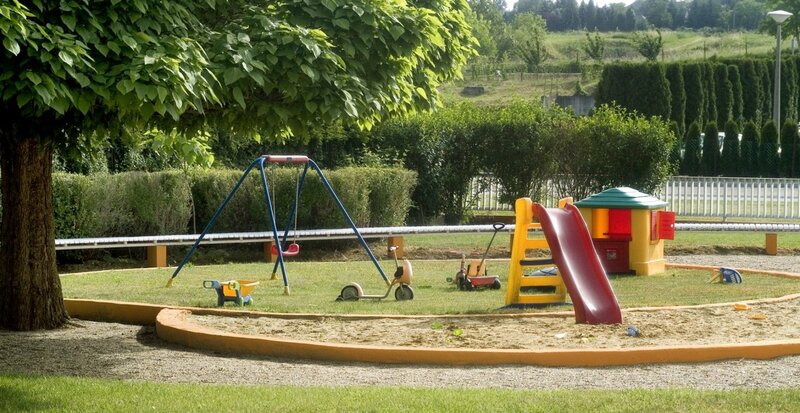 The hotel is surrounded by a 6000 m2 park area with a tennis court and a playground. In addition to an indoor wellness area, the hotel is unique for its heated outdoor thermal-water pool, which is available all year round. Belenus is a Celtic sun god associated with spring water, healing, and a sacred medicinal plant called black henbane. Our hotel offers 34 air-conditioned (separate AC for 1 500 HUF /day), non-smoking superior rooms (24 m2) and 4 double-bedded, air-conditioned classic rooms (19 m2). Cots and baby baths (in rooms) and high chairs (in the restaurant) are available for small children in a limited quantity free of charge. Facilities: Free internet; Private parking - extra fee; Garden, courtyard or green zone; 24-hour reception or key storage; TV in the rooms or the lounge; Towels and linen change; Swimming pool; Air conditioner; Central heating; Finnish sauna; Infrasauna; Steam bath; Playgorund; Tennis. 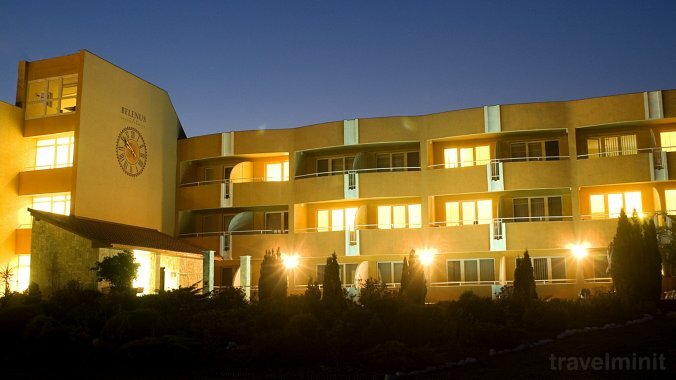 Best possible price confirmed by the owner of Belenus Thermalhotel Superior Zalakaros. We save you money and time. Book here! 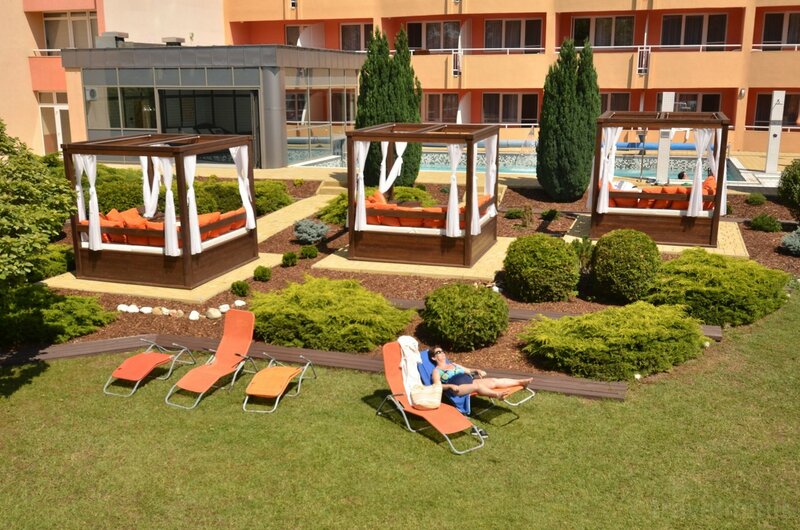 Book Belenus Thermalhotel Superior Zalakaros without booking desposit! Peace of mind with free cancellation. 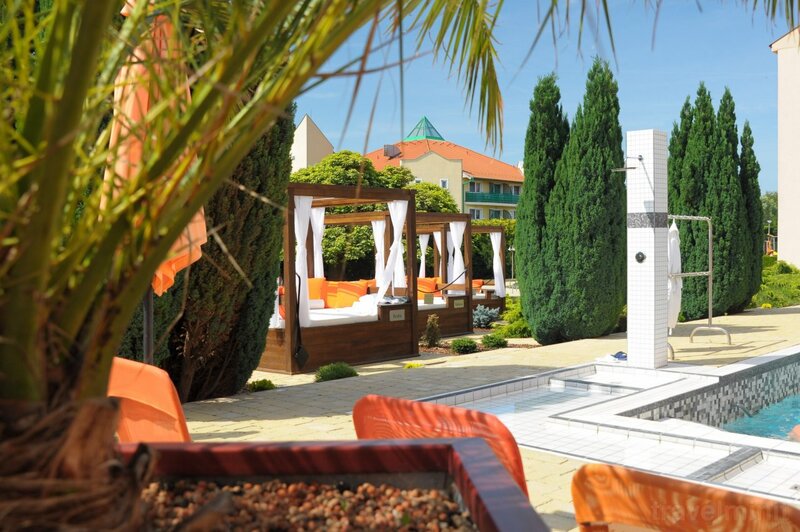 Your booking request is being answered direclty by the owner of the Belenus Thermalhotel Superior Zalakaros!